Facelifting is one of the original and best known cosmetic procedures in plastic surgery. It is designed to correct sagging and wrinkles of the facial skin. The procedure is cleverly performed through an incision which hugs the normal contours of the ear. Today many younger women consult with me regarding a facelift. The procedure continues to be popular among men and women in their fifties and sixties and occasionally in their seventies. The vast majority of facelifts are carried out in females primarily for pure aesthetic reasons. In my practice approximately 5% are carried out in men very often for career or job related reasons. In today’s boardroom senior management in their fifties and sixties appear to be more aware of the upwardly mobile / ambitious younger executives. Our society, professional as well as leisure is becoming obsessed with youth and looking young. In my earlier career I performed all facelifts under general anaesthetic. 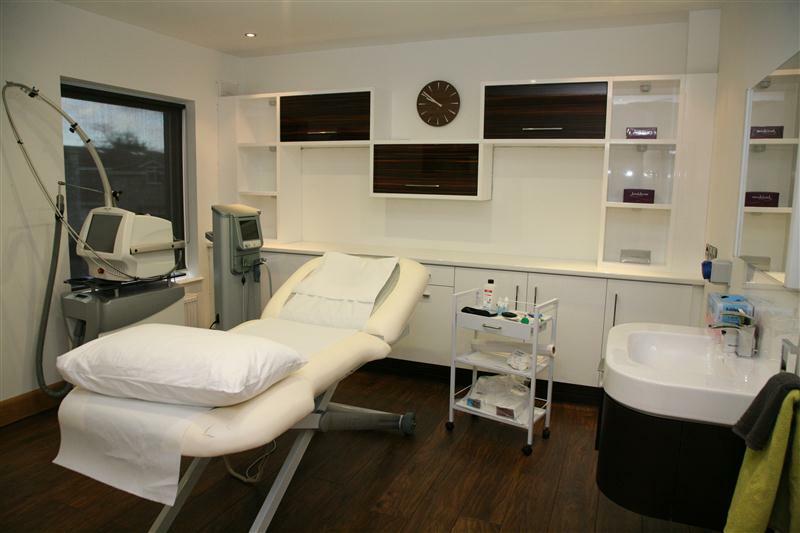 Over the past ten years the vast majority have been performed under sedation and local anaesthetic. This is now by far my preferred technique. It is a much safer technique with few complications. (Many Plastic Surgeons will only carry out a facelift under general anaesthetic. I think this is an outdated approach to cosmetic surgery and entirely unnecessary). I find that most of my patients are relieved that they do not have to undergo a general anaesthetic to have their facelift carried out. One of the many advantages of facelifting under sedation is that it allows the individual to go home that same day. This is by far the preferred option for the majority of my patients. There may also be a very occasional individual whom for medical reasons wish to be hospitalised overnight. Even in those individuals who are staying in hospital overnight I perform the procedure under sedation and local anaesthetic. A full facelift takes up to 4 hours. The timescale reflects the intricate nature of this procedure. A chin or neck lift takes 2-3 hours and a cheek or upper facelift under 2 hours. There are different facelifts – it is not one single procedure. The type of facelift is selected specifically for each individual. My clients are frequently confused by terms such as upper and lower facelift. The face may be divided into 3 zones (thirds). The chin and neck may be considered a 4th zone. A facelift rejuvenates the face from the level of the eyes down to the jaw line. This is frequently combined with a neck lift which rejuvenates the chin and neck i.e. below the jaw line. In practice what we term a facelift usually means lifting the middle and lower one third of the face as well as the chin and neck i.e. a neck lift. A facelift alone can be performed – this lifts the cheeks including the naso-labial folds / lines, the corner of the mouth and marionette lines and the jaw line. The neck and chin are not lifted. A neck lift alone can be performed – lifting the neck and tightening the chin. Usually the jaw line / jowls are lifted and tightened with a neck lift. A facelift will not rejuvenate the brow, only a browlift will rejuvenate this region. All facelifts and neck lifts are performed through an incision encircling the ear. A further small incision may be required under the chin to correct visible muscle bands – ‘tram lines’. Traditionally the incision was placed on the cheek just in front of the ear. Unfortunately this frequently left a visible scar. Today the incision is cleverly placed within the natural contours of the ear. The resulting scar is virtually inconspicuous. Behind the ear the incision is placed within the natural fold. The scar can be concealed by the hair. I do not run the incision into the hair as this frequently disrupts the natural hairline. Instead the incision runs along the hairline which leaves a very good scar without disruption of the hairline. Similarly disruption of the hairline in front of the ear and temple can also result if the incision extends up into the hair. I place the incision along the hairlines just under the hair lock. This technique also avoids unsightly elevation of the hairline. Dressings are placed over the incisions within and behind the ear. A very important part of the dressings is an elastic support over the head and ears. It holds the dressings in place and very importantly it supports the new chin-shape. You will experience discomfort, tenderness and tightness for a few weeks, pain however is uncommon. The discomfort is well controlled by standard pain killing medication. I prescribe a one week course of antibiotics as a preventive measure – infection is very rarely seen in facelifts. The sutures around the ears are removed after seven days. Most of the sutures are under the skin and dissolve in time, therefore they are not visible and do not require removal. The dressings around the ears can be removed after a few days but the elastic support must be worn constantly for one week and intermittently for a further two weeks. Many of my patients assume that recovery following a facelift takes weeks and in some cases months. This is not the case. Most of my patients are fit to return to work and leisure after three weeks – some even earlier. Generally there are two features which delay recovery – bruising, which can be variable, and swelling. The latter is best described as puffiness rather than swelling. The elastic support is worn continuously for one week and intermittently thereafter. Therefore it may be left off for a period if you need to go out or socialise during the second and third weeks post-operatively. The support does not need to be worn beyond the third week. As with all surgical procedures facelifting in the hands of a fully trained and experienced surgeon is a very safe procedure. The most troublesome complication is bleeding under the skin in approximately x % of patients. However bleeding following a facelift is rarely a serious complication. All of the potential risks will be discussed and explained during your consultation. The majority of individuals who undergo a facelift will achieve a very good result. This can be best described as looking younger and refreshed. Please be assured – you will look entirely normal and it would be most unusual for others to see any overt evidence of a facelift. The beneficial effects of a facelift will last for many years. The scars will fade during the course of the first year. You should be able to tie your hair up in time without the scars being readily visible to others. Smoke. There may be exceptions. These will be discussed during the consultation. Are overweight. Being slightly overweight may not be a contraindication but if you are significantly overweight you should not have a facelift. Suffering from ill-health – cardio-vascular or other severe ill-health. Suffer from dysmorphic body disorder.